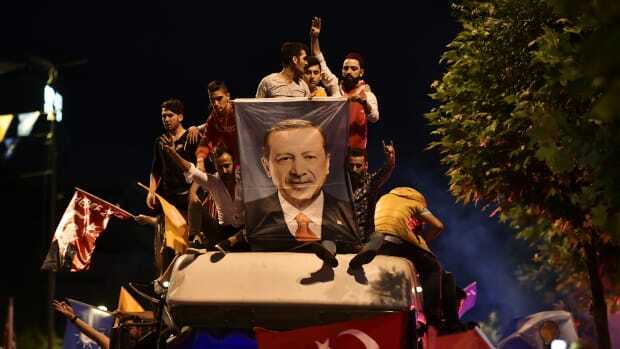 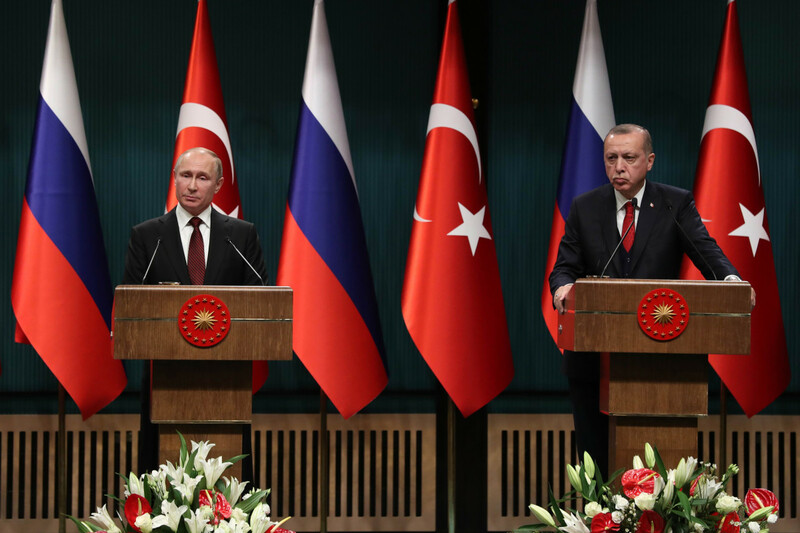 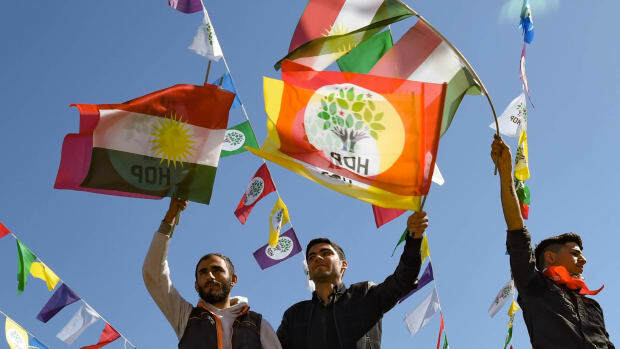 People react and wave flags outside the Justice and Development Party (AKP) headquarters in Istanbul, on June 24th, 2018, during the Turkish presidential and parliamentary elections. 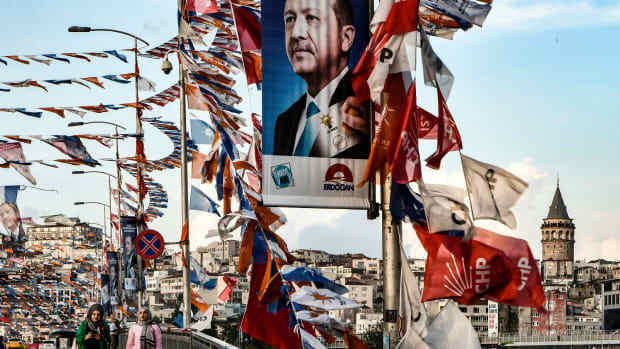 Women walk on a bridge past campaign banners with the portrait of Turkey's president in Istanbul on June 18th, 2018. 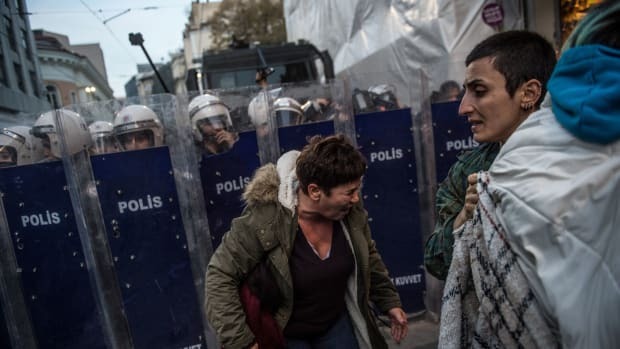 ProtestErs react after Turkish anti-riot police used tear gas against women's rights activists marching to protest against gender violence in Istanbul. 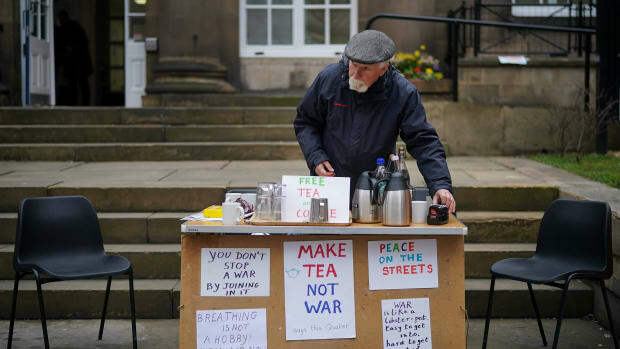 Quaker Alan Pinch makes tea for passersby as he holds a protest against war and military action in Syria on April 12th, 2018, in Manchester, England.